As you plan for the launch or expansion of your business, a main consideration is often the communication package using your logo and tagline - the letterhead, the fax and the business card designs which will become recognized in the market and spread by you and all your employees or acquaintances for referrals. As a representation of your business, it helps to have it express the ideals of excellence, efficiency and ingenuity or creativity. If it complements your website all the more effective in branding your product or service and generating recall when the decision to hire comes about. 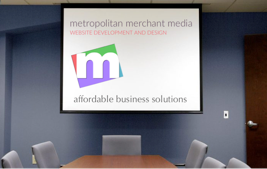 Metropolitan Merchant Media introduces “Graphic Impressives™” as an effective communications package to maximize your sales investment and contribute to the ongoing effort of establishing a pervasive presence in your marketplace. Discuss this option with us. We just added a new three part seminar geared toward the efficient growth of a sales force - The Easy Earning Economic Model, 33431 with 50 and Howdy 33.